You did not think that after a surprise financial success with “Olympus Has Fallen“, there would not be a sequel did you? Come on, there is money on the table and someone has to take it home, It might as well be Gerard Butler. I am a big fan of the original film, where Butler does his best Bruce Willis impression and the effects teams add enough firepower to take down a whole city. The premise was over the top but in complete congruence with the action films of the 80s and 90s. It was basically “Die Hard” in the White House. Just like the sequel to the original Die Hard, “London Has Fallen” keeps the characters from the original, transports them to another location, and changes directors. Babak Najafi is no Renny Harlin, but he manages to deliver the goods in sufficient quantities that there could easily be a “Moscow Has Fallen” entry in a couple of years. I do feel a bit guilty about all the mayhem shown in the film. There are explosions and public edifices wiped out along with what must have been thousands of civilians. Somehow, it is not quite as disconcerting as it is to me in some other films, maybe it is the cheese factor that you start with. No one worries that much when it happens in a “Transformers” movie because the film never takes itself seriously. “Man of Steel” took itself extremely seriously, and maybe that is the difference to me. 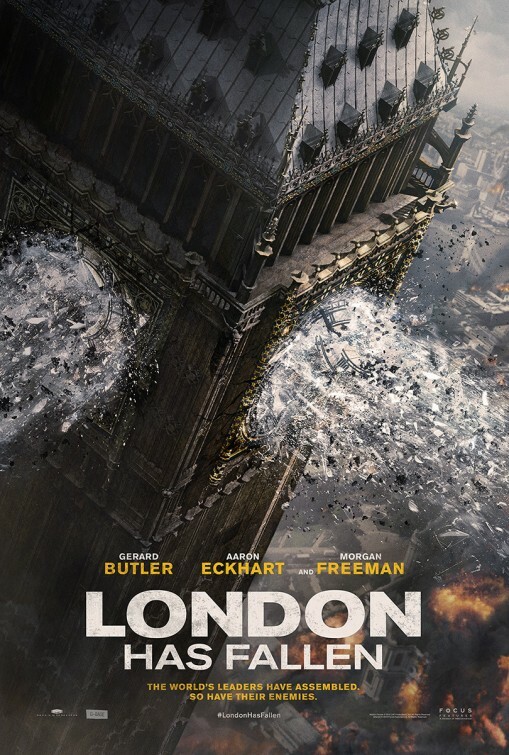 At the end of this film, all of London is being rebuilt and there will be little to remind anyone of what happened. The fact that Morgan Freeman provides the denouement instead of Aaron Eckhart’s President Asher, only underscores the fact that his sonorous voice is being used to put the button on the story. Most of the terror attacks happen early in the movie, so the expensive effects shots are used to set us up for the cat and mouse game that makes up the majority of the film. Secret Service Agent Mike Banning(Butler) has the President with him as the terrorists chase them across the abandoned streets of London. The terrorists conveniently shut off the lights so no one will see that the street sets are not real locations and as many shootouts in the dark can be accentuated with firebursts from the tip of a machine gun. The preposterous set up involves half of the London police being replaced by an army of terrorists that no one will notice. When members of the palace guard take their weapons and gun down the German Chancellor, you know there is no logic to the film at all. The fact that the story is nonsense does not distract from the pleasure we get from watching Agent banning kick tail and take names. When he gets to use those names in his interplay with the main terrorist on the scene, it is exactly like a moment form “Die Hard”. One thing that is a little different however is that Mike Banning is not going to let any terrorist get up five minutes later and take a dying shot. He seems to be a strong believer in the “double Tap” and when it comes to taking a man down with a knife, clearly a single insertion is not enough. When the President asks if the one killing of a terrorist with a knife in a particularly brutal way was necessary, Mike simply smiles and says, “No”. There is no reason to take any of this as more than a program, popcorn afternoon filler. Jackie Earle Hailey, Melissa Leo, Robert Forester, and Angela Basset, all Academy Award nominated actors are collecting a paycheck. Only Basset has to leave a room for her performance, everyone else sits around a table to deliver their lines. Morgan Freeman, an Academy Award winner, does stand up a couple of times to make his presence worth third billing, but ultimately this is Butler’s show with Eckhart in support. 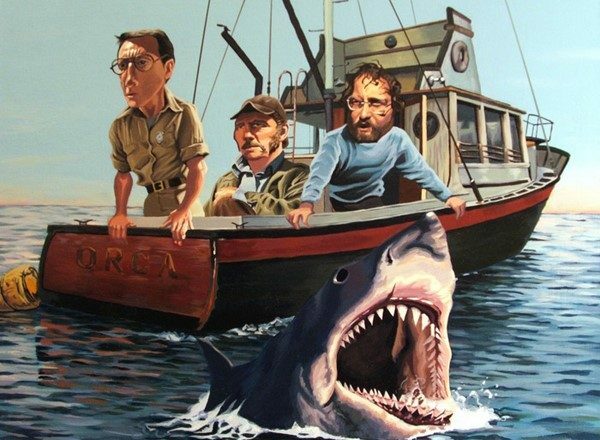 Cracking wise and killing a buttload of bad guys is what this film is all about. It does it efficiently and in an entertaining way, so if you want to eat your Milk Duds in the dark, this is a movie that will facilitate that. Of course all of it’s calories are empty as well.